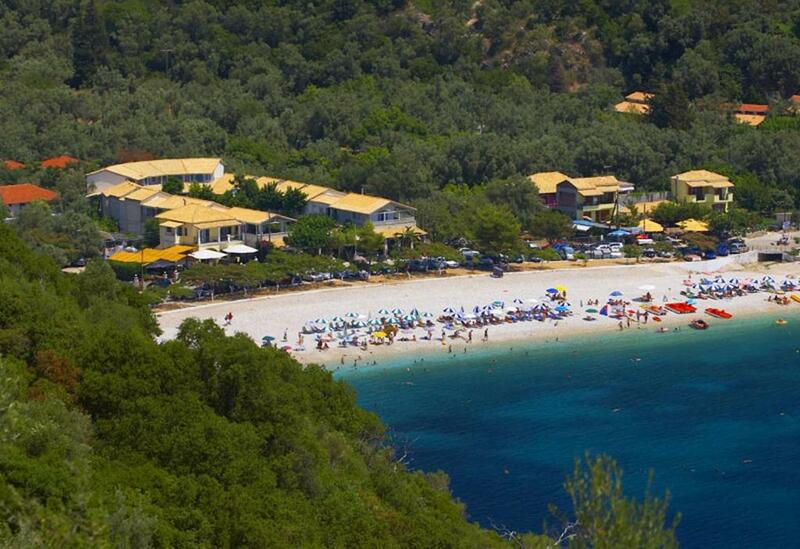 Lock in a great price for Rouda Bay Beach Hotel – rated 8.8 by recent guests! 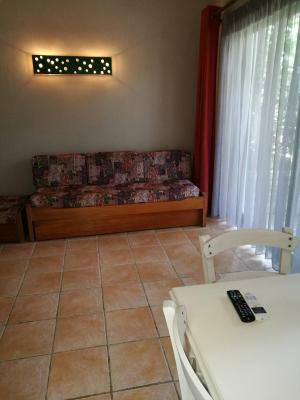 We spent 10 days in this beautiful apartment close to the beach. Everything was as good as we expected. 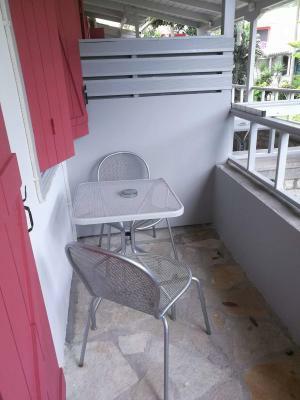 The apartment was clean, seating on terrace was relaxing. We really enjoyed stay there. I like concept with garden in the central area, that make parents relaxed to look their children playing in the safe area. I recommend this to families with children. The receptionist was very friendly and helpful. Since we were the first guests of the season and most of the rooms were still untaken, the hotel upgraded our room without extra charge. The hotel is beautifully situated at a small beach. Everything! Great place, amazing hosts, beach in front of the hotel. 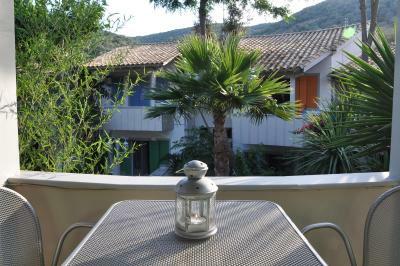 Lovely rooms, big bathroom, big balcony, quiet, relaxing. Small bay with a small gravel beach, just perfect if you're looking for a place to relax, far from the packed beaches. 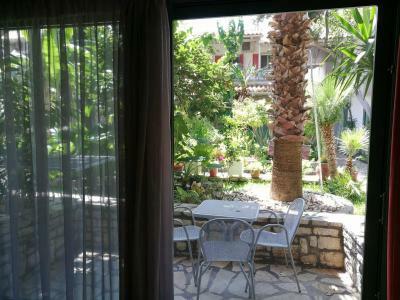 There are 3-4 nice small restaurants in the proximity, serving fresh fish and Greek cuisine. Everything was perfect, staff, cleaningness and etc.! 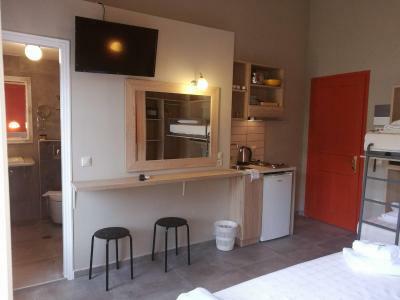 The room was quite large and clean, the location of the hotel is perfect. We loved the terrace by the beach. 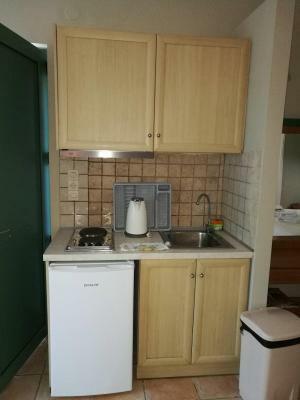 Staff was very kindly, property is directly at the beach, there is almost no passing traffic in the street in front because the street ends a bit further. 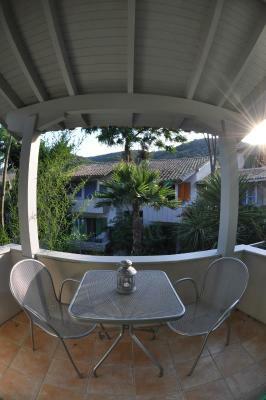 the garden is very well maintained, and a real tropical treasure, all the rooms look at the gardensite. 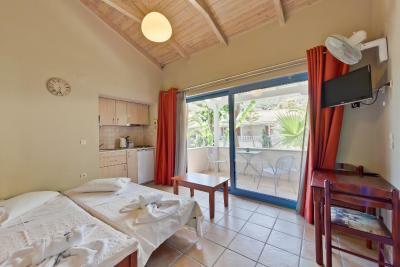 All rooms are nicely cleaned every day, proper sheets and towels. Very ecofriendly, Airco works only when all windows are closed. 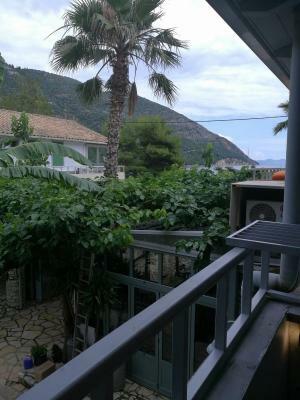 Wonderfully secluded location on Lefkada with beautiful view of Rouda Bay. Staff was wonderful, Litsa, Nikos, and Nathalie always made sure we were happy and content. Very nice people! 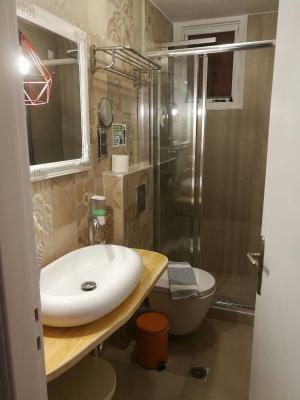 Super clean and tidy, comfortable room, we highly recommend this place. 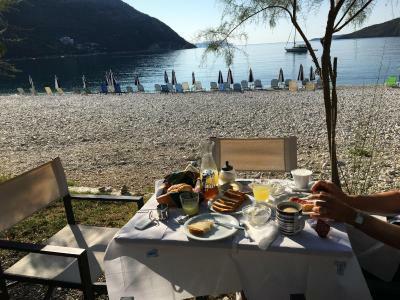 Rouda Bay Beach Hotel This rating is a reflection of how the property compares to the industry standard when it comes to price, facilities and services available. It's based on a self-evaluation by the property. Use this rating to help choose your stay! 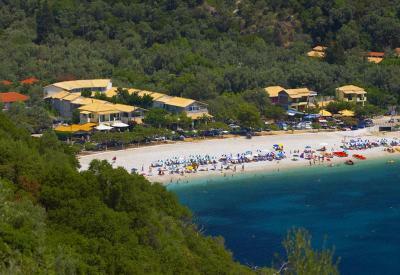 Located in the small village of Poros, Rouda Bay Beach is set amid exotic gardens just a few feet away from the beach. 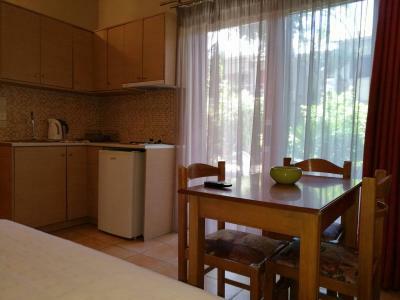 It offers rooms with free Wi-Fi and has a traditional tavern serving Ionian cuisine. 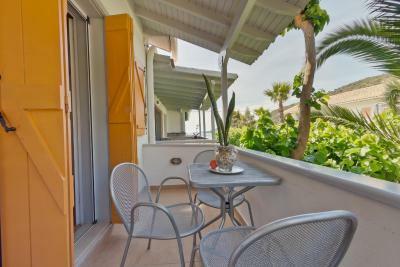 The air-conditioned studios, suites and apartments open out to a private balcony overlooking the Ionian Sea or the garden. 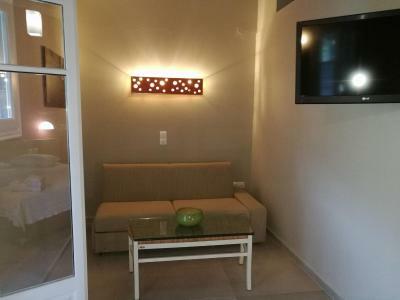 They come with a kitchenette with dining area and a living area with satellite LCD TV. 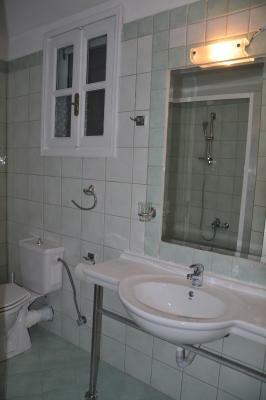 Free toiletries and a hairdryer can be found in the bathroom. Seafood and local specialties can be enjoyed at the sea-view tavern. There is also a café-bar serving breakfast, as well as salads, sandwiches, crepes and cocktails throughout the day. Within easy reach, guests will find seaside restaurants and cafes. The village of Nidri is 9.3 mi away, while the main town of Lefkada is at 20 mi. Free private parking is available near the premises. 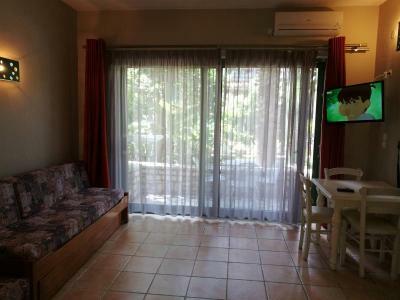 When would you like to stay at Rouda Bay Beach Hotel? Please note that the sofa bed can accommodate either 1 adult or 2 children. Rouda Bay Hotel is a 3stars hotel with 28 rooms & apartments designed to have style and at the same time to be practical and a wide range of high quality leisure facilities (restaurant, cafeteria, snack bar). 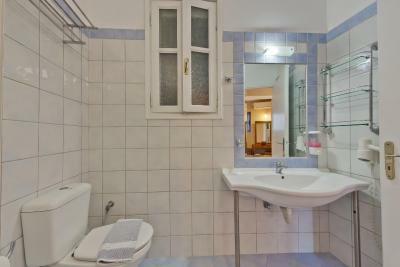 The excellent hotel services are provided by the friendly management and staff. 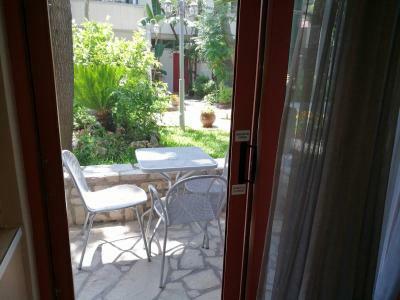 It situated exactly in front of the beautiful organized beach of Mikros Gialos, having a colorful garden with trees and flowers, viewing to the always calm bay of Rouda and Cephalonia Island and reminding of a neighborhood that will be hard to leave behind! House Rules Rouda Bay Beach Hotel takes special requests – add in the next step! One child under 2 years is charged EUR 4 per night in a crib. 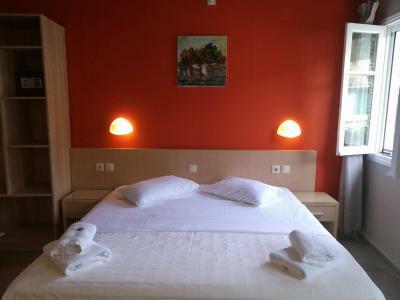 One older child or adult is charged EUR 12 per person per night when using existing beds. Rouda Bay Beach Hotel accepts these cards and reserves the right to temporarily hold an amount prior to arrival. Please note that free WiFi may experience limited speed due to provider's issues. The property will contact you after you book to provide instructions and to receive details about exact people per room (adults-children). Please note that check-in after 20:00 is possible upon charge. Internet could have worked better. As we understood, this is not the hotel's fault but a quite common situation on the island. The only downside that there was no duvet in the room. Late in September temperature drops and some nights could be chillier than others. The room was a little too dark with no natural light and the wifi was not working very well (but well enough). Like all beaches on the south and east coast of Lefkas, it is mainly stones and not sand. The twisty road down to the hotel is a nail-biter. Really not for the squeamish! Only wide enough for one car to pass in several places and most of the turns are blind. Exercise great care. 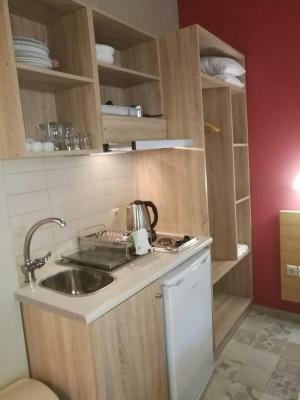 Kitchenette was not stocked with any equipment. Not a problem for me, but if planning to cook prepare accordingly.